Hello my name is Gerardo, and this is the Helmet Mounted Displays MOD. 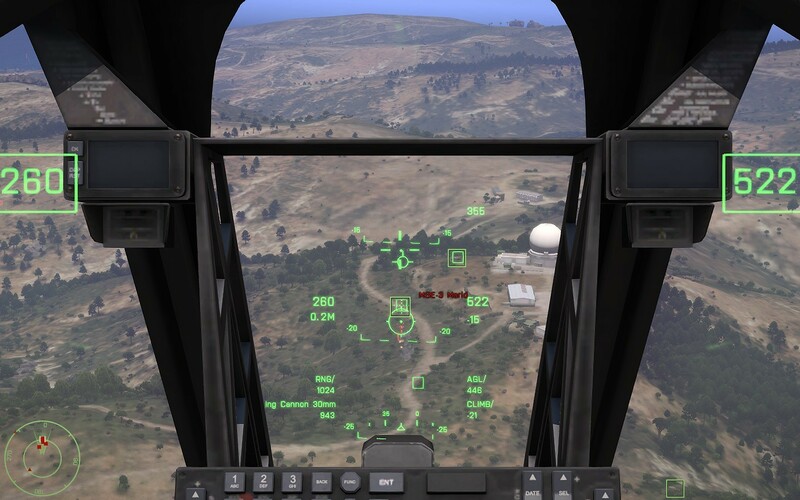 Within this mod you'll find the most accurate representation of real helmet mounted displays for Arma 3, enhancing your situational awareness aswell as increasing the capabilities of instrumented flight. Hello my name is Gerardo, and this is the Helmet Mounted Displays MOD. 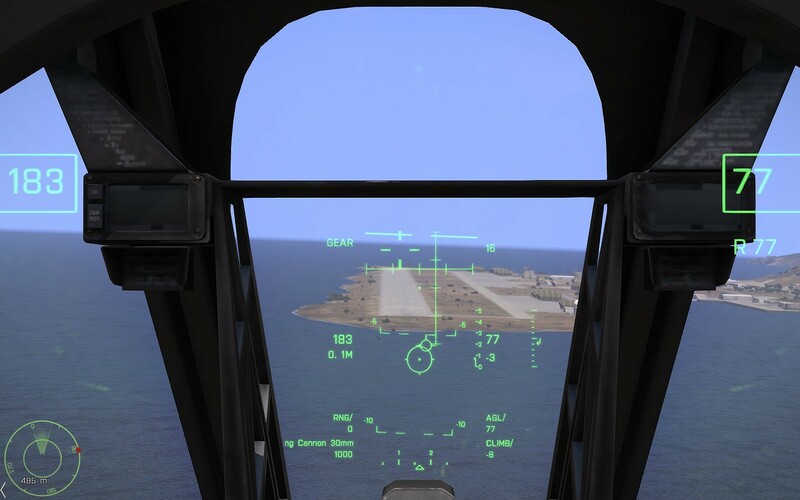 - Enhace targeting systems, navigation, situational awareness and instrumented flight capabilities. - Helmet mounted displays for all Bluefor and Independent helicopters. - Both metric and nautical units variants are included. 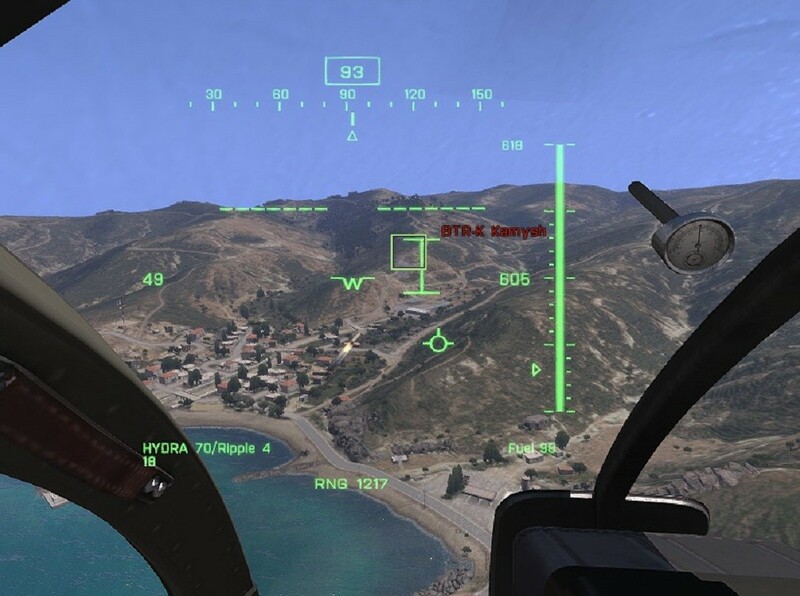 - Enhanced turrets for gunships and recon helicopters, which include: various levels of zoom, film grain effect in dayTV mode, ground stabilization and new UI. - "Forward looking" total velocity vectors (flight path markers). - Weapons aim where they should. - Weapons enhancements include: 2000rpm and 4000 rpm setting for the m134 miniguns and ripple settings for DAR rockets (single, ripple 2, ripple 4). More additions will follow. 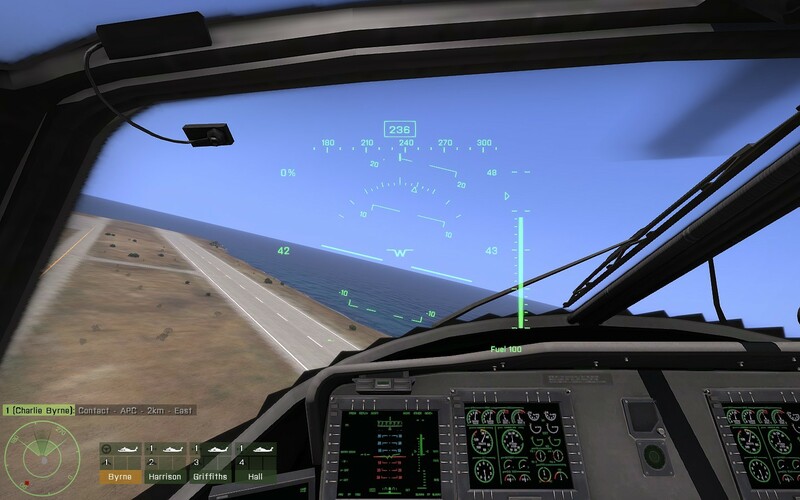 - Removes certain GUI elements such as airframe damage, fuel status (included in the actual HMD), weapon crosshairs, and magic radar from non-radar capable helicopters. - Fully working for RotorLib Helicopters. I'm going to implement new sources and types as the dev branch develops. 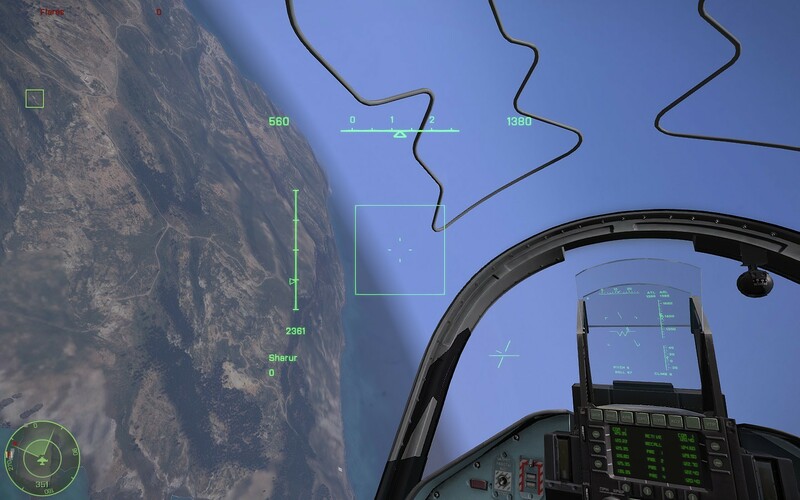 - Inculdes A-164 Wipeout HUD Modification with a new Helmet Mounted Display! - Includes HMD for Neoprhon. - Multiple Countermeasure Release programs. - IR Jammers (Comanche and Ghosthawk).